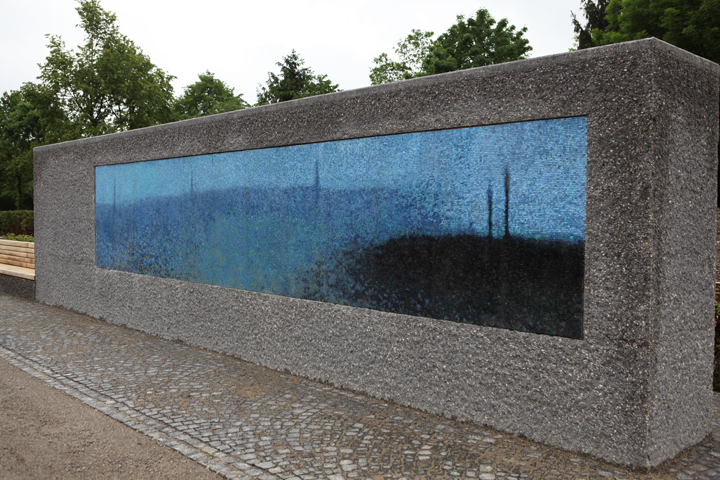 Two “stills” from the video “Il Ponte” served as working material for two mosaic murals. 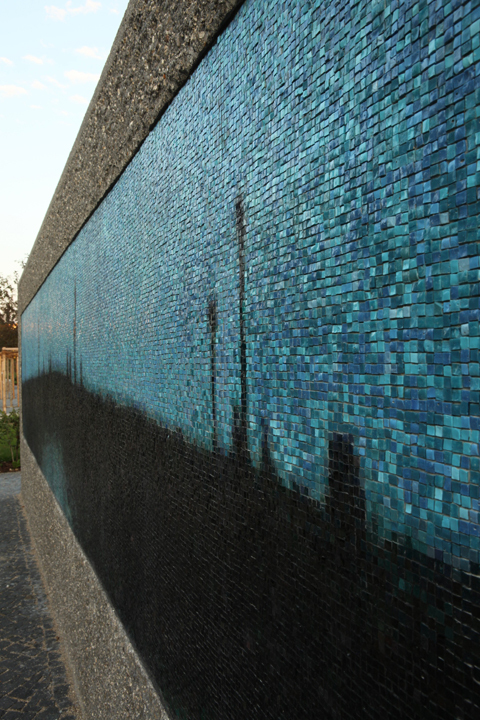 Both mosaics show the reflection of a bridge on the water flowing beneath. Because of the current and the breeze, the rippled water surface on the first mosaic is reminiscent of an abstract painting. Since the water gains tranquility during the course of the video, the “still” extracted from this part of the film is more concrete. 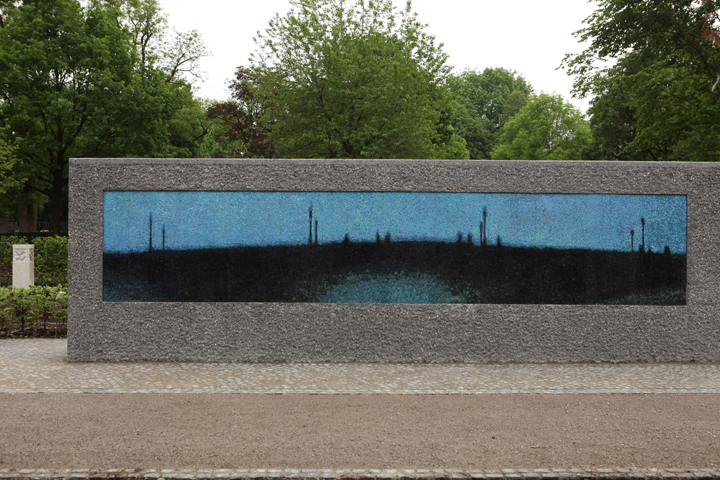 While the first mosaic appears luminous, and the bridge is surmised rather than recognized, the second one, located some 150 meters further along the path on the opposite side, seems to stand in twilight shadows. The reflected contours of the bridge are more distinct, appear, however, remote. The unstable and finite material film has, by means of one of man’s oldest known skills, been transmitted to the art of the mosaic, attaining thereby substance and durability. When enlarged, the basic elements of a digital pattern reveal in their pixels a construction related to that of a mosaic. The pixels could thus be transferred, one by one, to the “smalten” (glass particles). 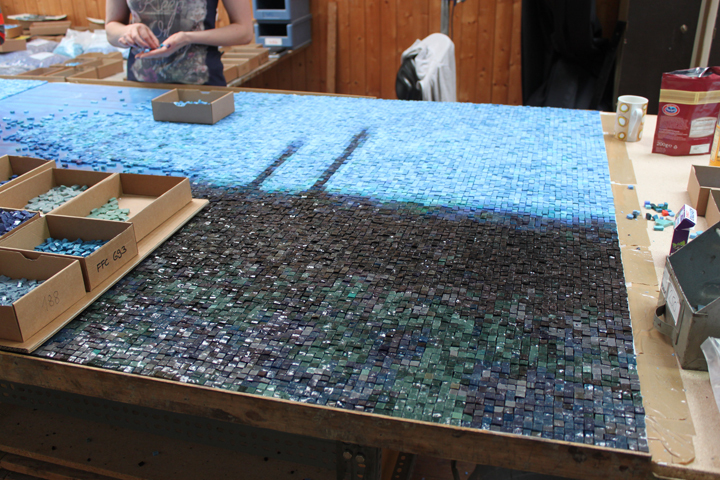 Each mosaic is composed of about 90,000 “smalten”, 1 cm x 1 cm in size, in over one hundred shades of colour. The smalten were hand-made in Venice in the traditional manner. Two ancient metaphors are depicted in the mosaics “Il Ponte”: the river (passing of time) and the crossing of a river (departure out of time). The image, composed of innumerable glass fragments, can be understood as fragmented human existence, which becomes, at its end, complete. 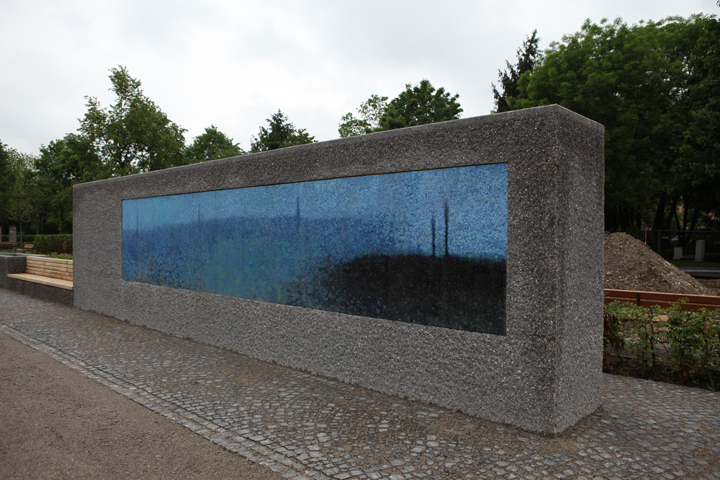 The two mosaics, separated in space, yet corresponding to one another: the one luminous as the dawn, the second in the dusk of approaching night, lead to a third historical metaphor, that of passage.